Three pointers are an increasingly devastating weapon being used in today’s NBA offense. Since the three-pointer’s NBA inception, a player has hit 10 or more threes in one game approximately 40 times. These several dozen instances are spread across twenty different NBA players; that low number of players that have accomplished double-digit threes in one game emphasizes the difficulty in recording double-digit threes made in one game. But there are only two three players to have accomplished 10 or more threes multiple times. One of those players is an easy answer: Stephen Curry. It’s no secret that Curry is setting a new bar when it comes to three-point shooting. And it was a matter of time before he got the record for most threes in one game. That time came on 11/07/2016 when he nailed 13 threes in a win over the New Orleans Pelicans. Curry used to share the NBA record for most threes in one game with 12; hitting a dozen threes against the Oklahoma City Thunder on February 27, 2016 — attributing for 36 of his 46 point total. The last three in that game was a casual 35-foot bomb that won the game. You know, because that’s what he does. Curry also drained 11 threes twice. Once for 54 points versus the New York Knicks back in 2013 then 11 threes against the Washington Wizards on February 3rd, 2016. Curry has hit ten three-point shots several times. In the 2015-16 season alone, he did it three times. Two of those times were in February 2016– against the Dallas Mavericks on February 4 and again on the 25th vs. the Orlando Magic. In both contests Curry ended with 51 points and led the Warriors to a win. Curry also hit 10 threes in his final game of the 2015-16 season vs. Memphis Grizzlies. 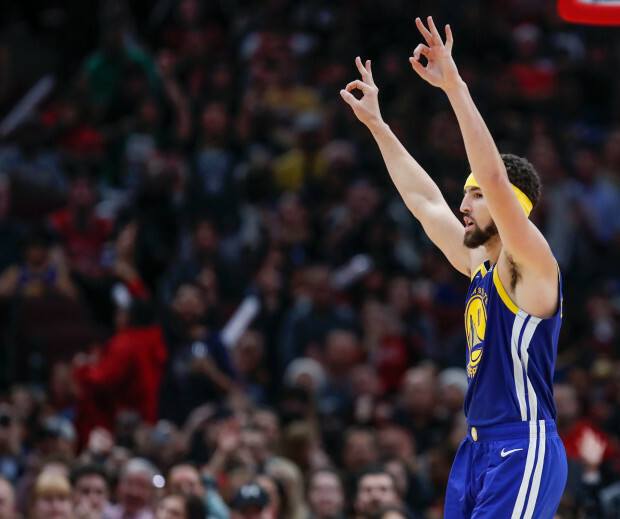 Klay Thompson, Curry’s running mate and the other half of the Splash Brothers actually broke Curry’s record for the most threes in one NBA game with 14 on October 29, 2018. 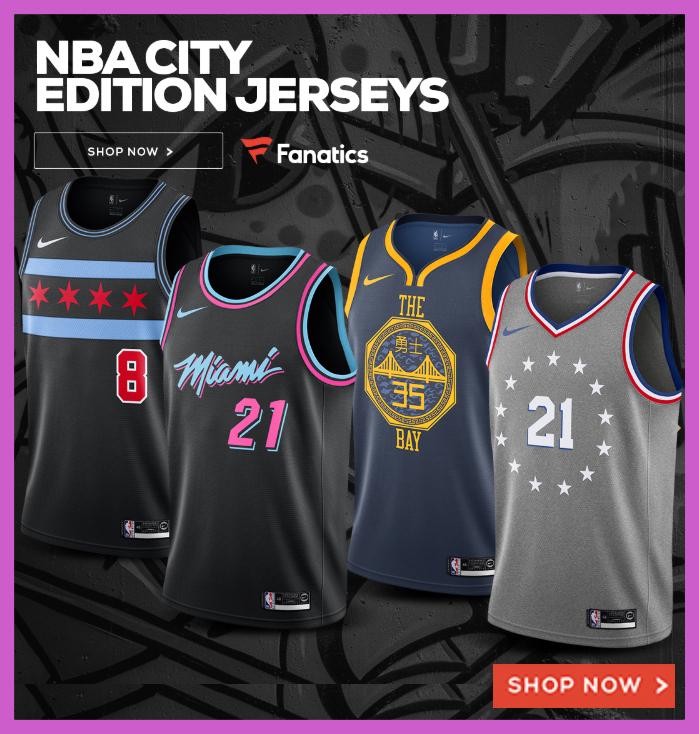 In addition, Klay has recorded games when he made 10 and 11 threes including splishing 10 against Dallas Mavericks in 2016 and splashing 10 versus the Indiana Pacers in 2015. Both times Thompson hit ten threes, he ended up with 39 points in a Golden State win. The other player that’s hit 10 or more three in a game multiple times? Not Dale Ellis. Not Ray Allen. Not Kobe Bryant. No, it’s not Reggie Miller, either. It’s J.R. Smith, and he did it three times. Oh, the wasted potential of J.R. Smith. I’ll let that sink in. When you snap back to reality, here’s the list of all 28 times that an NBA player has made 10 threes or more in a game along with how many total points the player scored that game and whether the player’s team won or lost. Until Steph Curry hit 13 threes early in the the 2016-17 season, the most three pointers ever made was 12 accomplished by two three players, Curry, Donyell Marshall and Bryant. The crazy thing about Donyell’s accomplishment is that he came off the bench to set the NBA mark. Not just that, he scored 38 points in that game — which if can do quick math in your head, that means he scored all but two points from behind the arc. It’s surprising to see players like Mario Chalmers and Chandler Parsons over shooting scorers such as Reggie Miller, Dirk Nowitzki and Larry Bird. The most threes that Miller and Nowitzki ever hit in one game was eight. Despite leading the league in threes made a couple times, Bird surprisingly never hit more than 98 threes in one season and his single game record stands at seven, which he twice did in Boston Celtic wins. Bird hit seven threes against Dallas in 1988 and again vs. the Indiana Pacers in 1991. With the way Steph Curry is going, it’s really not a question if, but when Steph Curry will hit 15 threes in a game, right? The 6-2 dynamic guard regularly hits 4-6 threes in one game while sitting out the last quarter. He continues setting and breaking his own three point records. Not only that, but Curry’s ability to shoot from half-court is changing the game as we know it. Curry’s combination of range and accuracy is redefining our expectations. He is unique, but the fact that he has come into the league in this era isn’t coincidence. There’s a heavier reliance on threes in today’s NBA and that continues to grow — NBA players shoot more and more threes with each passing season. Of the 2328 times that ten or more threes were made by an individual player in one game, more than 60% (1318) of those have occurred in the last four NBA seasons — since the 2012-13. Considering the NBA line has been in play for 35+ years — since the 1979-80 season — it’s a significant that all these individual three-point shooting records have happened in the last few seasons. A few generations of players looked up to Michael Jordan for his ability to score near the basket, but what were witnessing is a evolution of the NBA player. Watch Klay Thompson score 37 points… in one quarter!